When your beloved pet has to have joint surgery, we’re willing to bet you want to make it count. After going through prepping your house for the homecoming beforehand, physical therapy afterwards, and the surgery itself (not to mention the cost), it’s worth your while to do everything in your power to get the most out of the procedure. 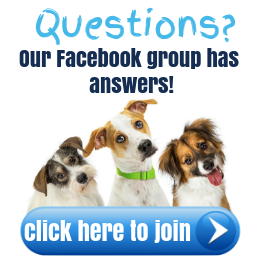 While aftercare in the weeks immediately following the procedure is extremely important, there are several ways you can help your dog’s joints in the years to come as well. Here are the best ways to get the most out of your dog’s joint surgery 1, 2, and 5 years out. 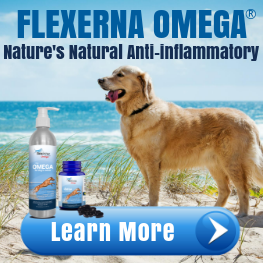 If you don’t already, providing a high-quality Omega-3 supplement is one of the best and easiest things you can do to help your dog’s joints. While many pet parents are diligent about this immediately following surgery, it can fall by the wayside as time goes on. We urge you to continue a daily supplement not just a year following surgery, but for your dog’s entire life. So how do you choose the best, most complete supplement? Most people are familiar with glucosamine, and to a lesser degree chondroitin, as key ingredients in a good joint supplement. 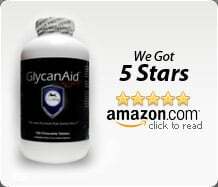 But what many people don’t realize is that it’s just as important to find one that includes natural ingredients with proven anti-inflammatory benefits such as MSM (methylsulfonylmethane) or vitamin C, to name a few of the more common ones. 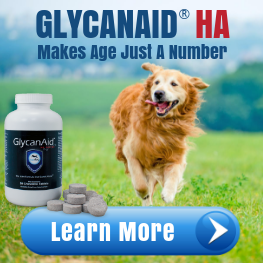 TopDog’s joint supplement GlycanAid contains everything you need to give your dog the best quality support, including glucosamine, chondroitin, MSM, Cetyl-M, and Vitamin C.
1 year post-surgery, your dog is likely feeling pretty good and is eager to run, jump, and play. While your pup can certainly have a good romp, following a few simple guidelines when it comes to playtime can work wonders for keeping their joints healthy. First, be sure to always warm up for a few minutes with some fast-paced walking or slow jogging, which will loosen up their joints and get blood flowing to their muscles, which reduces the risk of injury. Avoid exercising your dogs on hard surfaces like pavement, and instead favor surfaces with a little give to cushion their joints, like soft grass. And finally, avoid any form of exercise that encourages your dog to jump high, like an intense game of fetch. For dogs with joint issues, a hard landing can spell disaster. While many pet parents understand the cardiovascular risks of having an overweight pet, any extra weight your pup is carrying around also puts a huge strain on their joints. Regardless, an alarming amount of dogs in America are still obese. We urge you to get and keep your dog at a healthy weight in the post-surgery years, not only for their joint health but for their overall well-being and quality of life. Step 1 is to make sure you’re not overfeeding your dog. As a rule of thumb, do not believe what the guidelines or instructions say on your bag of dog food. The truth is that in today’s society with the average dog’s lifestyle, pet food manufacturers are recommending way too much food. For a more complete calculation on how much food to give your dog for their weight and lifestyle, read our 7 Tips to Getting Your Dog to the Perfect Weight. Step 2 is to make sure your dog is getting consistent exercise. Step 3, which may surprise you, is to never stop giving your dog treats – just simply break them up into smaller pieces. Giving and receiving treats is so important to the human-canine bond, but breaking them into smaller pieces will give you the same emotional benefits with fewer calories. Dogs, like humans, love a good massage. Plus, it’s wonderful for their joints. Dog massage can balance your pet’s muscle tone, which aids in joint flexibility and mobility, helping to reduce the risk of injury. Plus, it can decrease pain associated with issues like arthritis (by releasing endorphins), reduce stress and anxiety, and improve circulation and lymphatic flow (which helps remove toxins and supply a healthy blood flow to the vital organs). And it only takes 5 minutes a day! While simple petting is great, to get the most benefit out of your dog massage, it helps to make certain motions in a certain order. Here are our step-by-step instructions for a joint-friendly massage your pup will love. As the years continue to pass post-surgery and your pup gets up there in age, arthritis starts to become a concern. Unfortunately, dogs that undergo major joint surgery are almost certain to suffer from arthritis. Luckily there are many things you can do to keep them comfortable and safe in their environment in their golden years. First, it’s essential to provide your dog with a padded, comfortable bed. For dogs with stiff, achy joints, it can be a challenge to get comfortable enough to achieve the deep rest that helps repair the body each night. Consider an orthopedic dog bed, or add several soft blankets to make sure they have enough padding. If your dog has trouble with stairs or hopping on the bed, a ramp with a gradual incline can help prevent them from overexerting themselves. If you have tile or hardwood floors, you can provide carpets and runners to give their joints some cushioning. Going up stairs, jumping into the car, or hopping onto the sofa is not only uncomfortable for dogs with joint issues, it can actually be dangerous. If you have a particularly stubborn pup who believes in “mind over matter,” they may try something their body can’t handle anymore and hurt themselves. A quality support harness like T.U.S.H. allows you to easily help them up stairs and onto elevated surfaces, saving their joints in the process (and sparing your back). Plus, you can use it for support while walking your dog, so they still get some exercise to help prevent muscle atrophy. 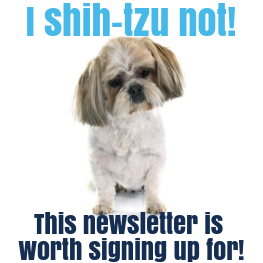 You’ve already done a wonderful thing for your 4-legged friend by providing the surgery they need for better joints. 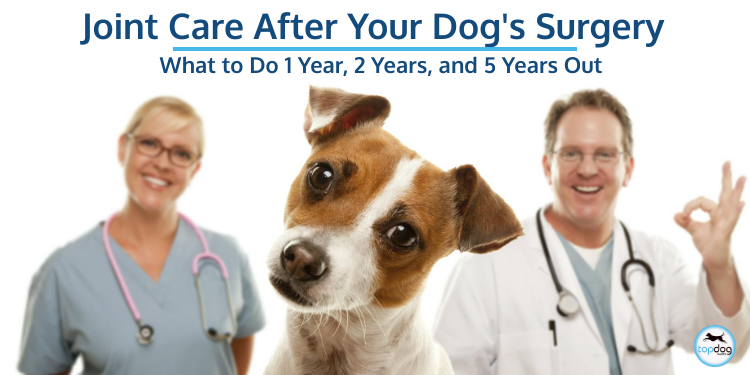 If you can start viewing aftercare as a lifelong process and follow these steps, both you and your pup will be better off in the long run.